The 15 people who will participate in the 2018 Tennessee Elk Hunts were announced Thursday during the August meeting of the Tennessee Fish and Wildlife Commission held at the Tennessee Wildlife Resources Agency Region II Ray Bell Building in Nashville. A total of 8,450 people registered for the opportunity to participate in this year’s hunt. 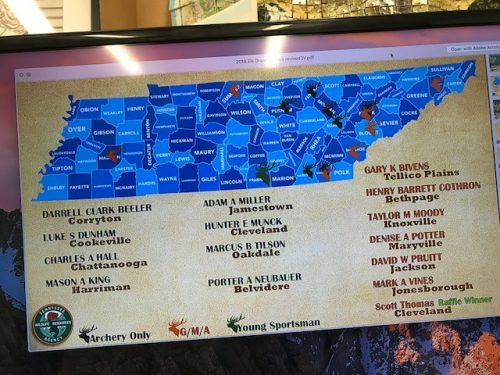 Tennessee began its elk hunt in 2009 with the participants selected from a computer draw. TWRA Elk Program Leader Brad Miller announced this year’s participants at the meeting. Selected to participate in the archery-only hunt Sept. 29-Oct. 5 are Charles A. Hall (Chattanooga), Darrell Clark Beeler (Corryton), Mason A. King (Harriman), Luke S. Dunham (Cookeville), Adam A. Miller (Jamestown), Hunter E. Munck (Cleveland), and Marcus B. Tilson (Oakdale). The seventh permit was presented to a non-governmental organizational, the Tennessee Wildlife Resources Foundation. In previous years, the permit was auctioned to the high bidder. This year, a raffle was held with tickets sold for $10 each. Scott Thomas (Cleveland) is the winner. 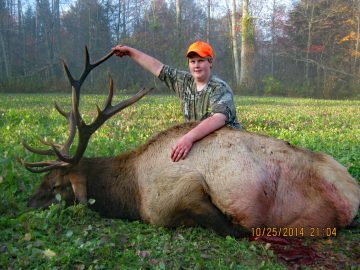 Thomas’s grandson, Robert Goodner (pictured right) was selected for the juvenile elk hunt permit in 2014. A total of 22,484 tickets were sold. 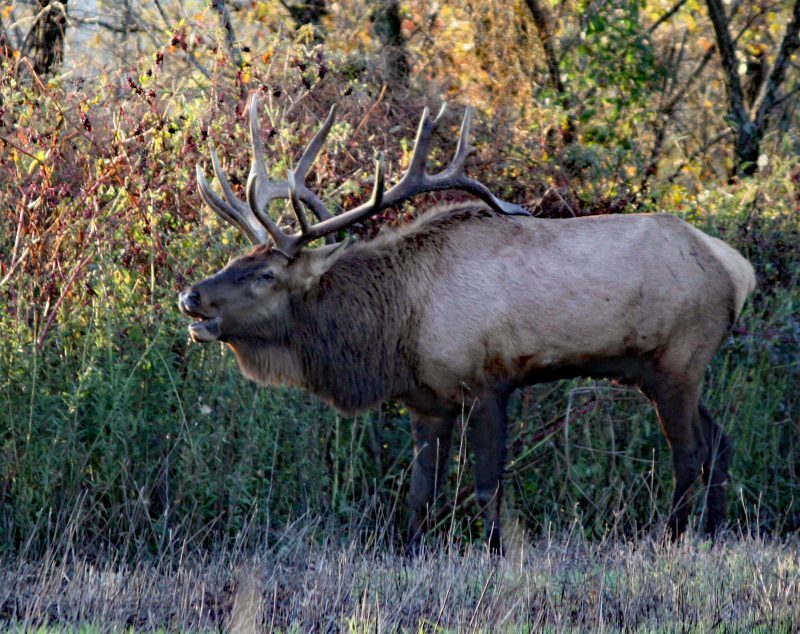 Fund-raising proceeds from the auctioned tag are designated for the elk restoration program. The youth tag permit winner is Porter A. Neubauer (Belvidere). This will be the seventh year for the tag which is designated for youth ages 13-16. The TFWC voted in 2017 to allow a full week for the youth participant, rather than a two-day weekend hunt. It will be held Oct. 6-12. All hunt permits are valid on the North Cumberland Wildlife Management Area and can also be used on private lands (with landowner permission) within the Elk Restoration Zone in Anderson, Campbell, Claiborne, Morgan and Scott counties. Since the historic first managed hunt in 2009, 41 elk have been legally harvested. Three elk were harvest in the archery only hunt last year. 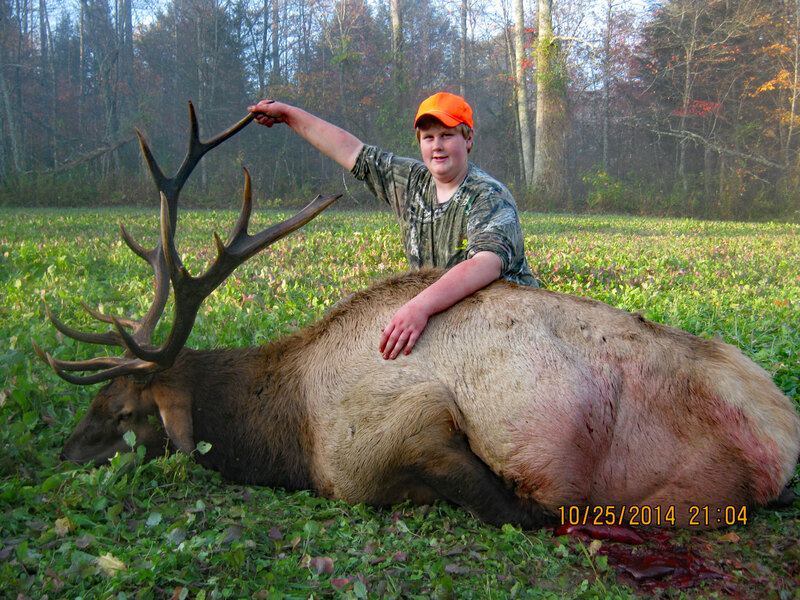 Four were harvested in the gun, muzzleloader, and archery hunt and the youth hunter, Reed Johnson (Manchester) took an elk on the first day of his hunt. The elk participants were the first items of business to open the TFWC meeting. The two day meeting concludes Friday.